Toby Howard-Willis of JG Speedfit looks at some of the key design considerations for modern house design when it comes to underfloor heating. Housebuilders are fast realising the benefits of underfloor heating solu- tions (UFH), prompting architects to give more focus to this during the design of new properties. However, with so many different underfloor heating systems on the market, and technology still maturing, it can be difficult to know exactly what needs to be considered in architectural plans as house design continues to evolve. The most effective underfloor heating solution is one that is designed around the individual needs of the customer and the likely requirements of the occupants. Ever since the introduction of the Green Deal in the UK back in 2013, house- builders have been asking architects to plan projects with energy efficiency in mind, in order to meet sustainability targets. As a result, the traditional image of a bricks and mortar house has started to change, with angular glass buildings, barn conversions and small building projects becoming the norm. While architects are increasingly designing buildings to harness as much natural energy as possible, these designs are making typical heating installations more challenging to achieve. Take angular glass buildings as an example. These are designed with a view to attracting as much natural light as possible, to save on traditional lighting bills. However, heating a room with such a distinctive architectural design can be diffi- cult to achieve with conventional radiator systems. Not only is it impossible to install a radiator to a glass wall, but because of the fabric of the building, ‘insulation by design’ is difficult to achieve whichever heating method is chosen. Very few are designed with the aim of providing any additional insulation above and beyond the heating output that you would expect to achieve. 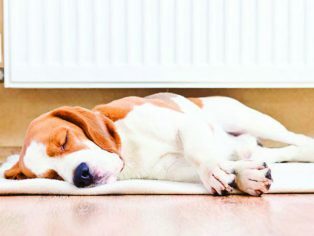 Even for buildings without large glass ‘concertinas,’ the price of designer radiators can be prohibitively expensive when compared to the relatively lower cost of underfloor heating. Consider also that the time it takes to install UFH for a typical 110 m2 building is roughly a day, compared with more than three days typically required to install a traditional radiator system, and the benefits of UFH for modern buildings start to become very clear. As more modern buildings begin to utilise timber frame construction, UFH installation is becoming a more flexible and versatile option for architects. While little changes on the top floor of a building, the bottom floor typically becomes more open plan. Architects can use this to their advan- tage when it comes to considering zones of the building that need to be heated. The term ‘zone’ is used to describe an area to be heated and controlled by one thermo- stat. Typically, an entire home will be sectioned into different zones, where the temperature and heating duration need to be controlled. Increasingly, there are instances where there are two rooms combined into one zone. In this instance, it is important to consider how these zones will be heated. For example, if you have a modest hallway in your design with a downstairs toilet, this could comprise one zone to be heated by the same thermostat. Alternatively, a kitchen, dining area and small utility cupboard could be combined into a single zone to heat for greater energy efficiency. Intelligent heating control solu- tions, such as a four-in-one wireless thermostat, can aid convenient control of an underfloor heating system. This can allow homeowners to heat individual zones of the building from their smartphone. When buildings are designed with zone control in mind, homeowners and occupants can maximise their energy efficiency savings. It is also important for architects to consider the location of a new build property, as this can sway any decision surrounding heating systems. Most buildings are designed to be as energy efficient as possible, but the loca- tion of the building itself can often have a detrimental effect on heat retention. For example, if a building is situated in the middle of a moor with frequent winds battering the side of the building, this is likely to result in significant heat loss, so it is important for architects to make this infor- mation available so that it can be accounted for in the underfloor heating system design. If the heating system manufacturer under- stands the rate at which heat will be lost from a building according to the minimum standards set by Building Regulations, they can often design an optimum system around this. A good place to start is by looking at the insulation of a home, as well insulated buildings typically have a very low heat loss. The uptake of plastic plumbing methods is already making life easier for architects, who no longer have to worry about visible copper pipes affecting the interior aesthetics of a building. Unlike copper, plastic pipes can be woven through the fabric of a build- ing and threaded through walls, ensuring that there are no visible pipes on display. 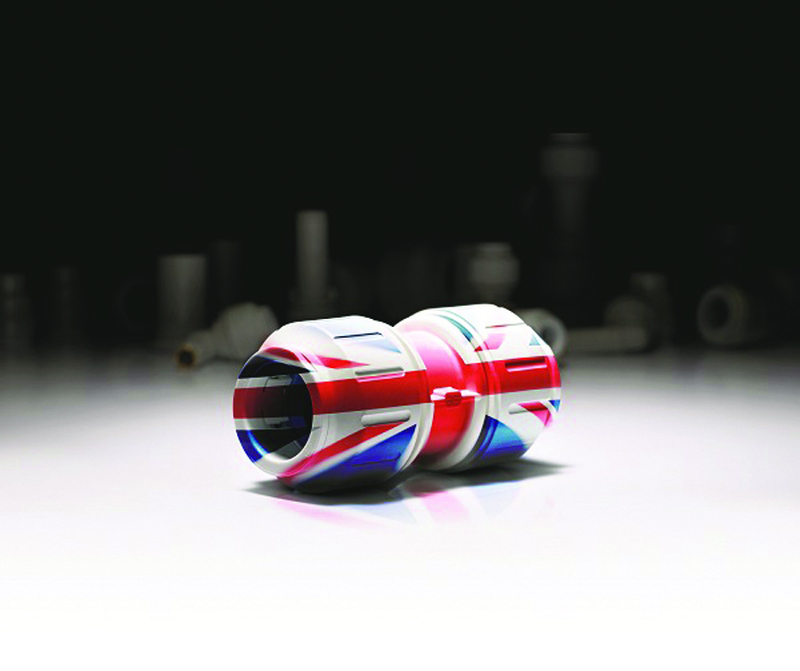 However, the real beauty of plastic pipes and fittings is that they can be engineered in different colours – for example, JG Speedfit offers both red and blue pipes for projects where easy identification of hot and cold or flow and return pipework is important, or just for added convenience, signalling all isolation points in the event of a heating system failure. 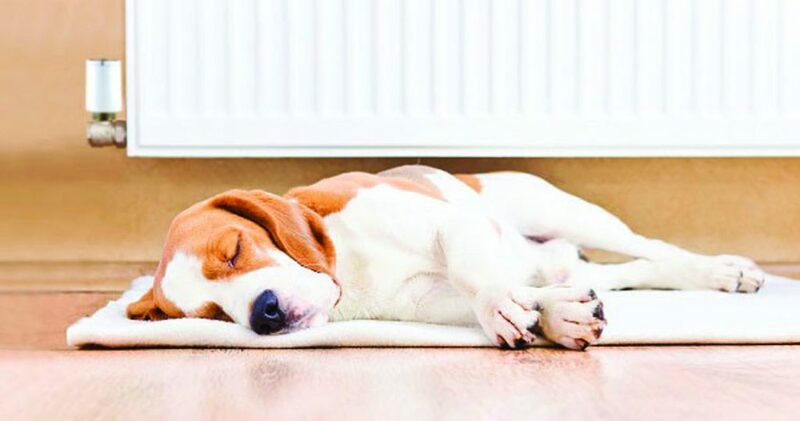 As more and more architectural designs prioritise aesthetics and energy efficiency over practicality, traditional heating systems are becoming more complicated and expen- sive to install when compared to underfloor heating. As the first fix plumbing industry starts to move towards more flexible and convenient solutions, architects are also beginning to accommodate new and effec- tive methods of building design. For effective building designs, the need for multiple stakeholders in the building industry to collaborate to understand and facilitate the building design requirements – of both the housebuilder and the planned occupants – has never more important.